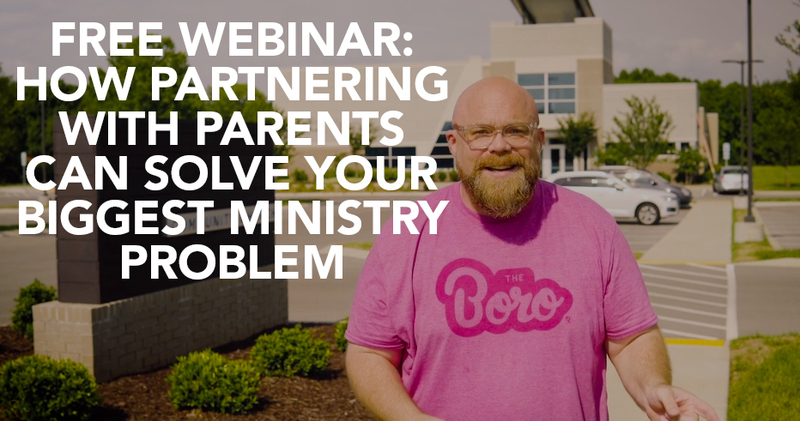 If you have an issue with an order or have questions of any kind, contact Kristy at kristy@ministrytoyouth.com. She’ll be happy to help you. 1. After purchase, how do I get the resources? After purchase, you’ll automatically be directed to a page to download all your resources. You’ll also be automatically emailed a link to the download page, with username and password. Be sure to look in your spam or promotional folder if you didn’t get that email. You’ll need to enter your order # and email in order to access your files. If for any reason you can’t access your downloads, then simply contact Kristy at kristy@ministrytoyouth.com and she’ll be happy to take care of you. 2. I downloaded the files, but cannot open and/or view anything in it. Keep in mind that you do need software to open and view the zip files. You can download a free “trial” version of WinZip, which will enable you to view/open everything in a zip file. All our lessons are theologically broad enough for all church denominations (and non-denominations). We stay central to the core truths of Christianity and don’t focus on denominational differences. 4. Can I share the download links with my team? 5. Can I get the resources as a physical product rather than a download? No, our resources are only available as a download. We don’t offer any resource on our website as a physical product. 6. I placed an order, but am having issues viewing or downloading the resources. Contact Becky at ministrytoyouth@gmail.com and she’ll be happy to help you. 7. Do I need a PayPal account to order the bundle? 8. I ordered a big bundle, did I win a prize? We announce all our prize winners on the bundle page by the next day at noon Eastern U.S. time. 9. Why didn’t I get an email with receipt and/or download links? If this happened to you, contact Kristy at kristy@ministrytoyouth.com and she’ll be happy to help you. …If you felt that page was not very clear, we’re happy to refund you the extra $59. And if you did think that page wasn’t clear enough, please let me know. I don’t want anyone else to not understand what’s going on. I already purchase the lesson bundle on a promo and we will be using those lessons for our Sunday School. However, I also want to have a separate lesson for our BIble Study suitable for youth. Do you have any suggestion? Contact Becky at ministrytoyouth@gmail.com and she’ll take good care of you. If I already own a few of the lessons included in this bundle, is there a way to swap out for others, or do I just have multiple copies? Yes! No problem. After purchase just send me, Nick, an email at nickyd456@gmail.com and we’ll hook you up! Hello- I purchased a bundle on 4/13 for $99. Can you please email me the receipt? I have misplaced it and our business office is in need of it. On another note, I attempted to save the email to refer back, created a folder and when I went back it was gone. Is there a way to resend the content to me? Is the only way to keep the info by downloading the whole file? I bought the bundle on April 8th and have misplaced the email. My computer died and now all my downloads are gone. Is there anyway to get the email resent? Sean, email Becky at mnistrytoyouth@gmail.com and she’ll hook you up! Hey Nick, I am a Youth & Young Adult Pastor in Newfoundland Canada. I’ve been in ministry for 5 years now and am always looking for new material to teach on. This is an amazing initiative and I want to thank you for your generosity in offering stuff free to us Youth Pastors! It means a lot! I hope God blesses you tremendously for the work you’re doing! Jon, awesome. Thanks so much for your encouraging words. Really appreciate it 🙂 So happy to help. Love your stuff. I got in on the bundle offer today that included $99 credit to the Jr. High Store. When the order went through, I didn’t see that credit. Did I miss something? Hi Roy, no you didn’t miss anything. Becky will email everyone tomorrow (Saturday) with the promo code. We have to wait till everyone orders today. Just hang tight. Does your material follow any type of scope and sequence? Todd, no they don’t really follow a scope and sequence. What you see is what you get. Gave email address, attempting to download article “How to Reach the Most Ex…” . Receive email from Ministry to Youth in my mail box. Click to get pdf of article, takes me straight back to introductory web page asking for my email address to download. Tried 4 times, same results. Can’t download, wants to sign me up again and again. Brent, Becky will email you today to resolve the issue. Thanks for letting us know about this. We’re on it. I ordered the $99 Huge Bundle last week. I was looking for the breakout that was part of the advertisement that showed some lessons as Youth and some as Sunday School. It is no longer available on the site. Can that information be emailed to me, as I need it for the purchase records here at the church. Bonnie, I sent your request to Becky, ministrytoyouth@gmail.com. She’s our customer service person who will help you out. Good Morning , I’m looking a purchasing a special you have right now , my question is what is the cost after I am done with those lessons and wanna purchase more ? You can view the descriptions and see the prices of all the material we are offering right now. Please email me kristy@ministrytoyouth.com if you have any questions. I have not recieved my order please. Order was placed on 8/18/16. Thank u for a response..
Janette, have you emailed Becky at ministrytoyouth@gmail.com? I’m forwarding this to her now. Just a heads up. We played a game with the Study Set Apart Lesson 1 and ended up with a pretty good nose bleed. The game was called “Bull in the Pen”. It was fun but not without injury. Oh my…so sorry that happen. Thanks for the heads up. We really appreciate that. I will like to buy your products for Youths. I do not want to buy the autumn bundle, but have access to all your teachings. If I purchase the bundle, how long do i have access to all the material? You have until January 2018 to download it from us, but should you need assistance in the future, we are always happy to help! I lead a ministry reaching young incarcerated males in juvenile detention centers. A lot of times, I find that videos help them relate to the topic before we start a discussion. We are also only allowed to bring limited supplies (and nothing messy) into the facilities for games. Do you think that this bundle would still benefit me? Thanks for the question! This bundle would be a great fit for you. There are tons of games and many of the series contain lessons with links to video clips. Take a look at the free samples listed on the Huge Youth Ministry Bundle page and see what you think! 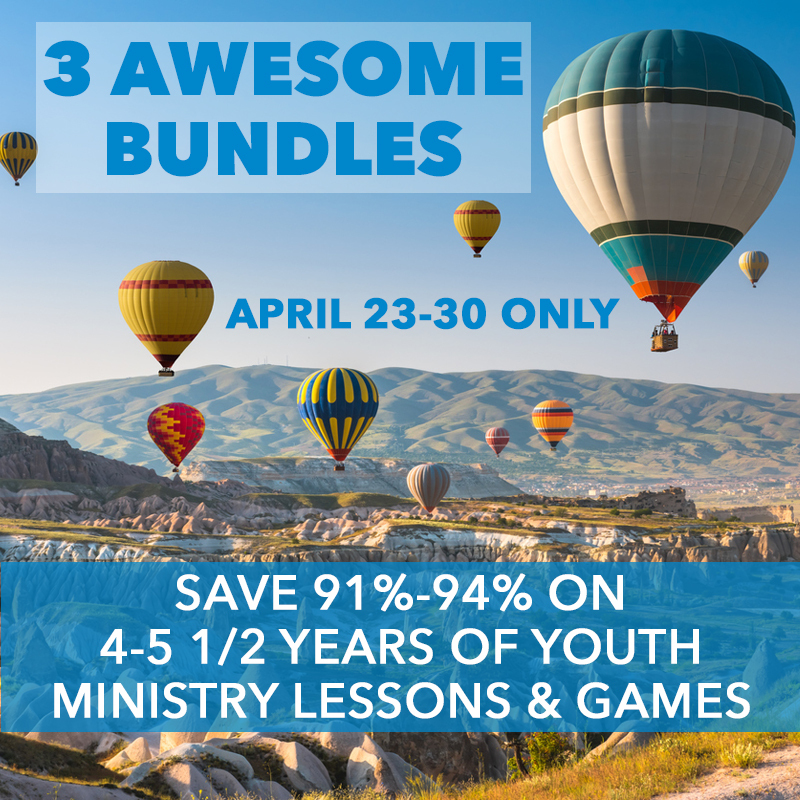 – https://ministrytoyouth.com/huge-youth-ministry-bundle. If you think of anymore questions, feel free to email us at ministrytoyouth@gmail.com. Thank you! I am trying to view the podcast/ video, “how to help teenagers navigate social media”, episode 14. I would like to use for bible study at the end of this week. Can you please tell me what I am doing wrong. The circle just spins around non-stop when I hit the play button for that video. Can you help me with how to view it please. We’re so sorry for any inconvenience, but our podcast episodes are no longer available. Please feel free to contact us at ministrytoyouth@gmail.com if we can be of further assistance. I sent an email to BeckyForkelministrytoyouth@gmail.com less than 10 minutes ago it was returned as un-deliverable, it was in regards to a bundle I purchased 8/16/16. I have been able to access the lessons I’ ve used so far but today I tried to access the Easter Curriculum, box came up saying “files corrupt and cannot be opened” since Easter is approaching I would like to use the lessons. Hopefully someone can me help me. Kathy, her email is ministrytoyouth@gmail.com. You have the wrong email. Use that one. Hey there, I am looking for lessons that are downright simple. To a teenager who knows nothing but the name of this Jesus dude. What lessons do you have already/could have in the future that relate to that? Zach – Thanks for reaching out! These lessons are ready-to-use. You can make them your own or use them the way that they are written. We are a New Ministry in South Afrika with a big youth and we are involved in a couple of schools. We can really use this material but just not have any means to purchase it. Can you PLEASE Blessed us with it. I was wondering if there is a lesson on Halloween that you can share with me. Unfortunately, no we don’t have a Halloween lesson. If we were ever to create one, what specific topic would you like to see for a Halloween lesson? I just want to send a BIG THANK YOU! This ministry has made my life so much less stressful as a newer youth leader. You can see God’s hand is involved and your heart is being guided by the Holy Spirit in the lessons you provide. Praying for His blessings to fall upon your ministry as you help reach youth for the Kingdom! Just want to send a big thankyou to the team at Ministry to youth. I am a full time Children’s pastor working in the UK. I am in a very rural setting working with youth and children and ministering on a sunday to an age range of 4-13 year olds. We do not have much of a church budget for resources so your ability to make resources available for free are such a huge blessing to me and those I minister to. I thankyou and may God Bless you all. James…that is so cool! So happy we could help your ministry! BTW, the UK is great! My family recently visited London and really enjoyed the city! Hi Megan. We are sending that to you ASAP! Hey guys, a while ago I purchased the $99 bundle, I believe. I have loved everything that I have used, but I have run across an issue, that maybe you’d be able to help me with. Several of the series, such as the 4 Week “Thankfull” series reference video segments, but I cannot for the life of me find any video links or files. Is there a folder just full of them, or am I missing links? Any help would be, well, helpful. Bailey, I just emailed you the video link to the email address you placed the order with originally. Please let me know if I can further assist you and we are so glad that you and your students are enjoying the bundle! Is there anyway to do smaller bundles? We are a small church and would love to get our hands on these lessons but would need to split it up into maybe two or three payments. Could you help me out? Hi Rebecca, we do smaller bundles and series often. We set the prices so that they are affordable for everyone and the amount of lessons you receive for the prices is awesome. At this time we can’t accept split payments, but we will keep that idea in mind. 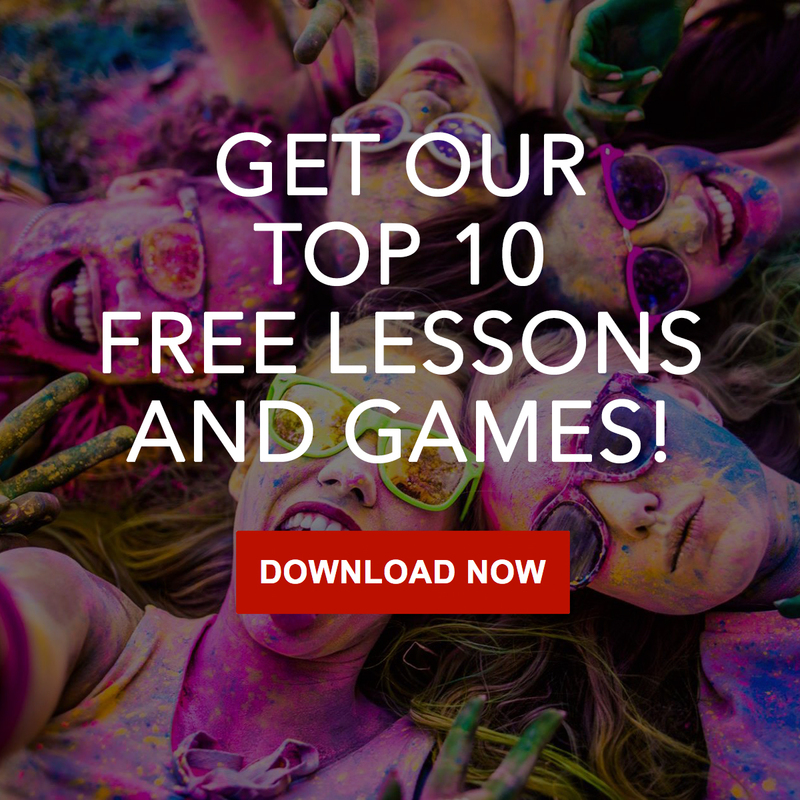 We do have a link where you can check out free lessons we off that have so much to offer pastors and students as well. Here is the link https://ministrytoyouth.com/youth-group-lessons Please let me know if I can assist you in the future. I just bought two series from you this last week at $35.00 each and I see that these are in the HUGE BUNDLE. Can I get a credit towards purchasing the HUGE BUNDLE? I can spend another $30, but no another $100. Thank you for the consideration. Hi Ryan, we will take care of you, no worries. How long will The New Release Bundle be available? Seth, I’m not really sure how long the New Release Bundle will be available. We kind of just play it by ear. We let it run it’s course, and then stop it without any warning. Best thing to do is get it while you can. 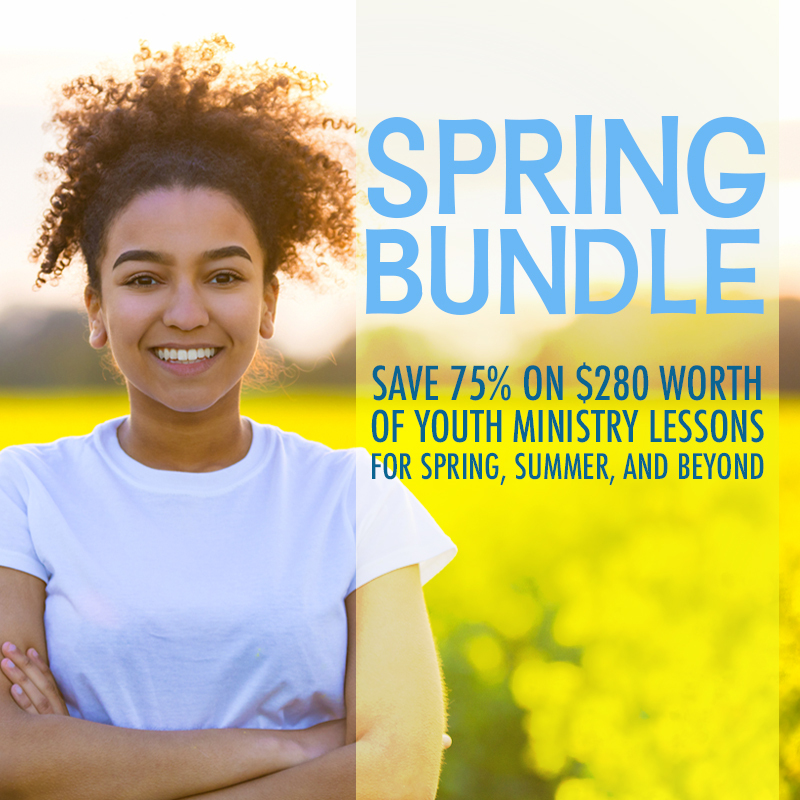 We purchased the Youth Ministry Bundle in January, and still have not received the curriculum – nor been able to download. Can you help us? Hi Gary! I have emailed you and sent all your information. We possibly may, but we do not have a date set yet. If we do you will get an email for sure! Good Day. I have purchased and used many of your lessons. I love them. I am looking for a group of lesson about “Fishing for Men” or “Making Disciples.” We are planning a mission trip this summer and I have to plan the lessons for small group time and spiritual growth. Can you advice? Hi Jeanna, Gone Fishing is one of our series on http://www.ministrytoyouth.com that would be what you are looking for. Please email me at kristy@ministrytoyouth.com if you have any further questions. I was just wondering whether you have a teaching programme on Baptism? Hi Dana. We do not have a lesson on “baptism” at this time. Thank you for the question! Had one question for ya. All the lessons you say are only downloadable not physical, but is it also printable…? Will I be able to Print the lessons out to use in my Teens class? By the way, may the Lord Jesus Christ continue to use & bless your ministry! Hi Jason, Yes, you can print them. Once you buy them, they are yours to use within your ministry. Please let me know if I can assist you further! Hello, I ordered one of the big youth bundles I think back in October or November and I thought that I had downloaded everything to my computer but I am now unable to find any of the files and my email deletes everything after thirty days:(. I do not have my order# so I am unable to recover it with that and my email. Is there anyway that you can help me with this? In this Bundle, are there just 4 lessons for junior high. I teach mostly high school students, is there a bundle for that? It is offerd right when you click on this link. Is there a way to see a preview of the lessons prior to purchasing? Carl, yeah, check out our free lessons here: https://ministrytoyouth.com/youth-group-lessons/ Keep in mind our paid stuff is even bigger and better than the free stuff. Hello! I’m teaching kids from 6th grade to 12th and would love to teach all of Daniel and do an in depth study of Joseph. I saw your “Leadership” lesson using Daniel 1 (which is great!) but do you offer more based on that book alone? I like teaching object lessons like leadership but I really want the kids to know the bible. Do you have anything on Daniel and Joseph in particular? Hi Diane, We only have that one for right now. I purchased a bundle pack and have been downloading them each week as needed. I am in the middle of “made to worship” and it says that it has expired. I need it for Sunday night 7/8/18. The following is the info at the top of the file names. Right click the link(s) below and ‘Save File As…’ or ‘Save Target As…’ or try a different browser like Firefox, Chrome, or Safari. I really love your free lessons. My students relate really well with these lessons. Thank you so much. Sharon, that is so great to hear! You are very welcome! I ordered the fortnite lesson. I did not order the bundle. My credit card has been charged but I did not seem to receive an order number. Could you please e-mail me my order number so that I can download this lesson, please? My name is Pastor Ken. I ordered a bundle last year and I can’t seem to find my files anymore. I was wondering if you could help me find the materials I ordered. Hi Kenneth, I’m happy to help you. I have sent you an email. I am using your free downloadable youth lesson with my teen Sunday School class. I really like the simple, down-to-earth lessons with a good Bible foundation. My class seems to be enjoying the lesson very much. Thank you!!!!!!!! Hi Carol, We are happy to hear that you guys are enjoying the lessons! Do you have any free lessons for youth (teens) regarding anger? Hi Carol, Here is the link to all the free lessons we offer. Please feel free to email me at kristy@ministrytoyouth.com if you need further assistance. So money will help transform the teenagers and bring them closer to God? I am sad to read a statement like this. We rely on the methods and the how to’s rather then the transformation with the help of the Holy Spirit and prayer. Church and church related services have become commercialized and is now a separate business on its own. Hi Jim, We have a lot of leaders in the ministry that work ful-time jobs and they do not always have time to put together a lesson for each week. When the Holy Spirit lays a subject on their heart to talk/teach with their students about it is nice to have a website that offers lessons ready and available to purchase and use. We also offer free lessons as well on our website for those who cannot afford to purhcase at the present time. Ministry to Youth makes sure to offer our material at a extremely low cost for leaders. Thank you for taking the time to contact us and God Bless!